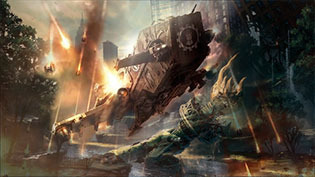 This summer, the New York City Warmongers Club presents, Battle for Terra: The Emperor State, a 30k summer campaign! From June to August, we will be battling over NYC in the grim dark year of 0014.M30. Legion lists will escalate from 1000 to 2000 points. Factions will capture and hold territories giving armies access to dark arsenals, relics, battle boons, prizes, bragging rights and much more! Battles can be played anywhere you want and it's free to join. Our goal is to build a rabid 30K community of Legions!!! Mission packets are incoming, but check out the current rules!